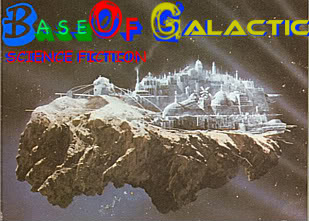 This isn't really sci-fi, but in some ways it is - a tribute by director Joe Dante and a charming nostalgic piece set in Key West, Florida during the scary Cuban Missile Crisis in '62, this probably presents an idealized version of the old time movie showman, played by John Goodman (a version of real life producer William Castle), and wouldn't certain fans, especially of a younger age, want to be on the road with him, selling movies town to town, theater to theater, tricking audiences with goofy special FX? It's every monster movie fan's dream, all right. 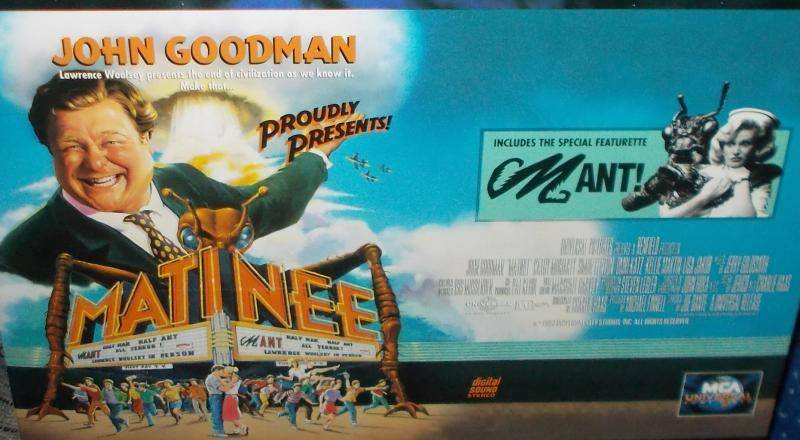 Most of the main cast are kids who, one way or another, get involved in the showing of "Mant!" - the latest sci-fi/horror flic in 'Atomo-Vision' - at the local theater. 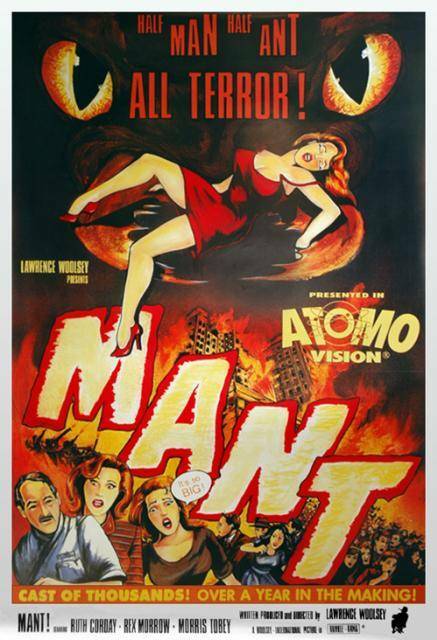 "Mant!" reminds one of movies such as Them! 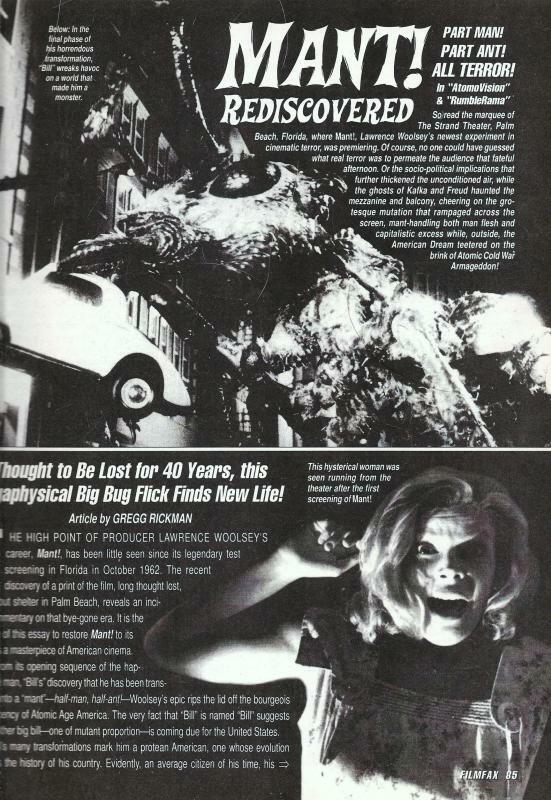 (54) and The Fly (58), being about a man transforming into a giant ant (on the old Laserdisc from the nineties, all the Mant footage is shown in order without interruption on one platter). The showman, Woolsey, also uses physical effects outside the movie screen, such as shock gizmos under the seats and 'Rumble-rama,' which could pose a danger to a theater's stability. Goodman is a natural as Woolsey, strutting about with a huge cigar and enjoying himself like an overgrown kid. Cathy Moriarty is also amusing as his gal pal and leading lady, who can't really get into her roles when outside the silver screen. Robert Picardo (appearing in all of Joe Dante's films) is funny, as usual, as the nervous theater operator.